On September 29, 2013, the Tsleil-Waututh Nation will welcome a powerful totem pole to ourÂ territories, the gift of our Salish relatives, the Lummi people. The Lummi Nationâ€™s House of TearsÂ Carvers have created a tradition of carving and delivering totem poles to areas struck by disaster orÂ otherwise in need of hope, healing and protection. The Tsleil-Waututh Nation will be unveiling a Totem Pole, Sunday, September 29th, as a permanent symbol of cross-border unity among Coast Salish nations opposing destructive fossil fuel projects like the proposed Kinder Morgan pipeline and tanker expansion. Click on the headline above for event details. 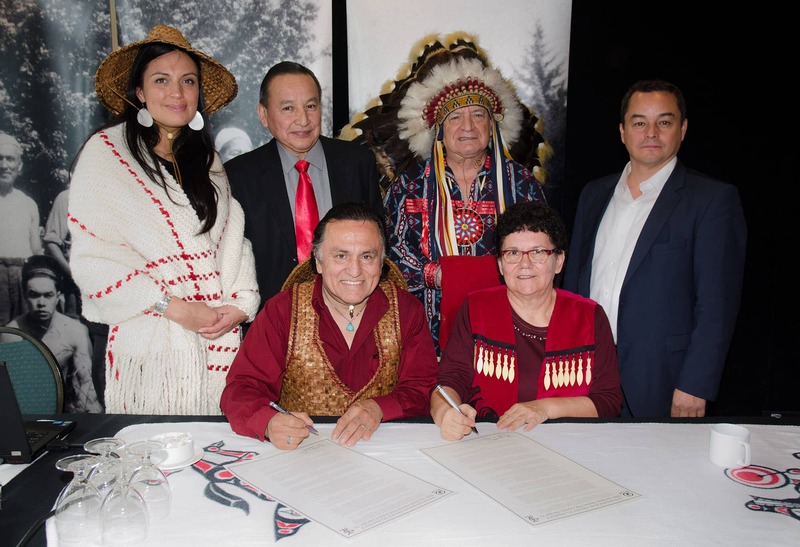 June 27, 2013 – Tsleil-Waututh Nation is dismayed, but not surprised, by the news today of a second oil spill in as many weeks on Kinder Morgan’s Trans Mountain pipeline. NORTHÂ VANCOUVER, BC,Â June 13, 2013 – Tsleil-Waututh Nation is calling attention to the risks associated with pipelines after an oil spill shut down Kinder Morgan’s Trans Mountain pipeline yesterday. The 12-barrel spill occurred near Merritt, B.C., while Kinder Morgan was performing maintenance on the line. NORTHÂ VANCOUVER,Â May 31, 2013 – Tsleil-Waututh Nation is commending the Government of BC on its announcement today regarding Enbridge’s Northern Gateway pipeline. The Province stated that it cannot support the project as presented because it has not been able to address British Columbians’ environmental concerns. “Today we raise our hands to Premier Clark and the Government of BC for making the right decision. NORTHÂ VANCOUVER, BC,Â May 28, 2013 – Tsleil-Waututh Nation is disturbed by details revealed in Kinder Morgan’s Project Description filed last week with the National Energy Board. The document outlines further details for the new Trans Mountain pipeline. Of particular concern to the Nation is the tripling of oil storage tank capacity in Burnaby and the significant expansion of the Westridge Marine terminal. The Tsleil-Waututh Nation has been adamantly opposed to Kinder Morgan’s expansion of its Trans Mountain Pipeline since plans were first made public. The existing pipeline runs nearly 1,100 km from the Alberta tar sands to Westridge Terminal in the Burrard Inlet, the core of Tsleil-Waututh territory. TSLEIL-WAUTUTH/COAST SALISH TERRITORY, VANCOUVER, BC, April 17, 2013 /CNW/ – First Nations, environmentalists and public leaders will gather to stimulate discussion and raise public awareness about expansion of the Canadian tar sands and oil industry infrastructure during a one-day conference hosted by the Tsleil-Waututh Nation on April 19. The conference at the Sheraton Wall Centre in Vancouver will commence with Tsleil-Waututh Chief Maureen Thomas signing the International Treaty to Protect the Sacred from Tar Sands Projects.